Seven must-have foods for your pantry: how to keep a healthy cupboard! Meal planning can really help you stay on track with a healthy diet. Making sure you have a good range of fruits and vegetables available to add to dishes and to snack on is always a great tip but what else should you have to hand? Clinical Nutritionist Suzie Sawyer shares her pantry staples that we should keep in stock all year round. Quinoa is such a versatile grain that can be included in so many different recipes, plus it’s super healthy! Quinoa is high in protein, low in fat, is gluten-free (gluten can be digestively problematic for many people) and is low glycaemic, meaning that its energy is released slowly into the body. It’s a super food! It’s so easy to prepare – it’s just like boiling up a saucepan of rice. Why not prepare a large batch and then it can be kept in the fridge for two to three days. You can add some cold roasted vegetables or some salad vegetables, together with some tuna for a great lunch-time meal, particularly if you’re on the run. 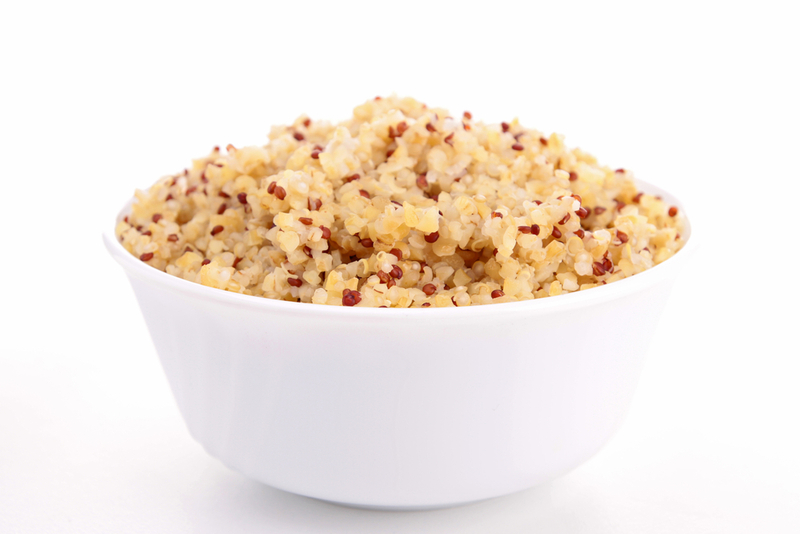 Quinoa makes an excellent meal-filler alongside roasted chicken or salmon. It also makes a perfect veggie risotto with some sautéed mushrooms, butternut squash and onion, finished off with some grated parmesan cheese – delicious! This is an absolute ‘must’ for your store cupboard. Firstly, coconut oil is one of the healthiest oils for cooking as it has a high melting point and is, therefore, chemically stable. 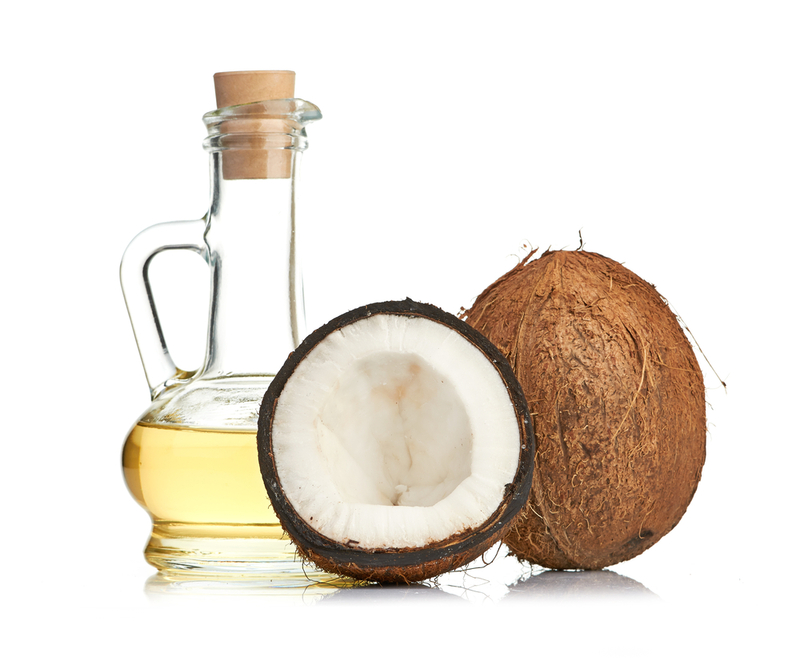 However, coconut oil is also great for energy production, therefore it should be used lavishly in other dishes. Think delicious chocolate brownies, beautifully roasted potatoes and authentic-tasting Thai curries. Additionally, coconut is not just for the food store cupboard – it should also be in your cosmetic cupboard as coconut oil is one of the best body moisturisers around! When you’re short on time and ideas, make sure you’ve always got some sweet potatoes in the cupboard. They provide a wealth of amazing health benefits including high levels of vitamin A which is great for the immune system. Additionally they don’t upset blood sugar levels, unlike ‘normal’ potatoes. 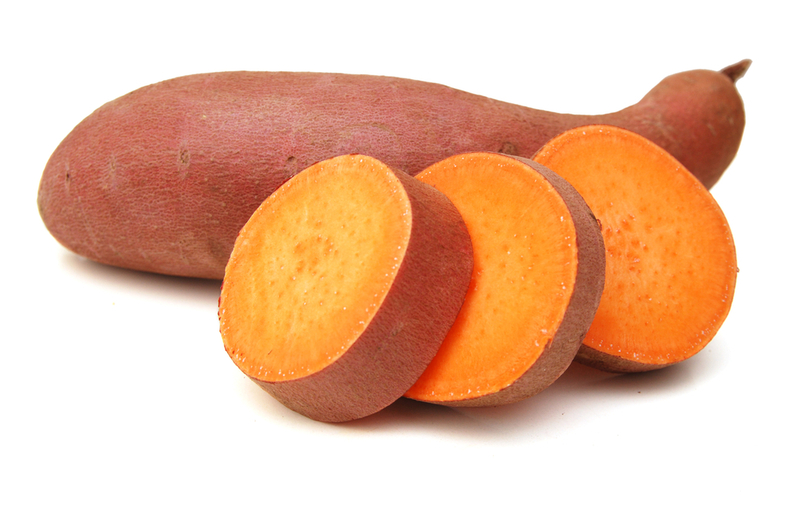 Sweet potatoes can be used in exactly the same way as your humble white potato. Why not try them in their jackets with some tuna or prawns, mashed with some black pepper and a knob of butter or used as a healthier topping on your fish or shepherd’s pie. They’re also a great source of omega 3 essential fats, so if you don’t eat or don’t particularly like oily fish, then flaxseeds provide those essential omegas. Omegas are needed for healthy hormone production, beautiful skin, and a healthy heart, eyes add joints – quite an impressive list! 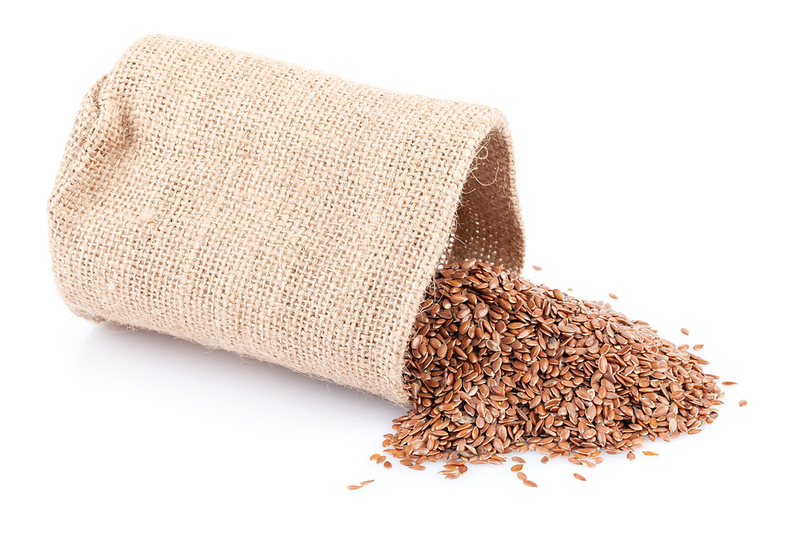 Flaxseeds have a slightly sweet and are therefore great added to the top of your porridge or cereal, stirred into a yoghurt with some blueberries or they make a very healthy addition to your smoothie. Ginger looks slightly strange on the supermarket shelves, in its raw state, but this makes it no less attractive in terms of its nutrient punch! Ginger is a great natural anti-inflammatory food; this makes it especially useful for joints, particularly after injury or for those people suffering from arthritis. 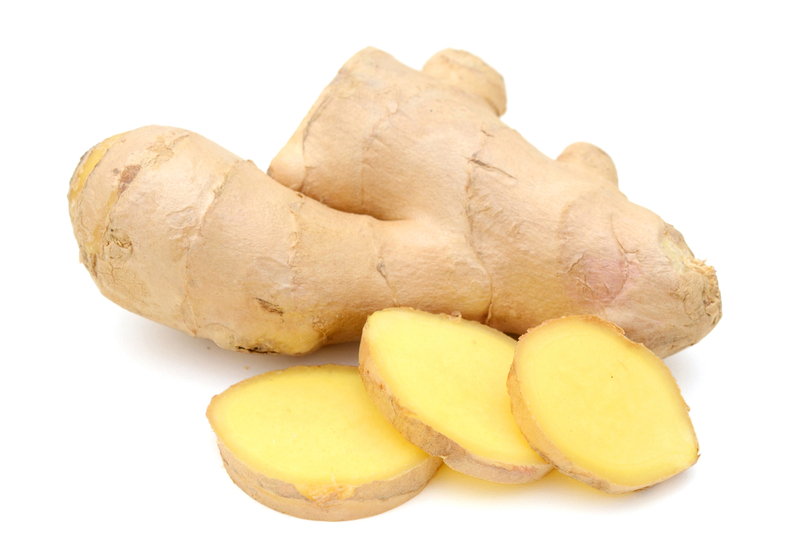 Additionally, it’s a great digestive soother, particularly in cases of nausea: ginger has proved to be invaluable for helping morning sickness in pregnant women and also for sea-sickness. Ginger can be incorporated into the diet in so many different ways; it provides an amazing ‘zest’ when added to fresh juices such as beetroot, carrot and apple. You can even pour hot water over it to make your very own ginger tea and it’s an essential ingredient in a good stir fry. No stir fry is complete without garlic! And by including it in your cooking as much as possible, you’ll also be giving yourself some amazing health benefits. 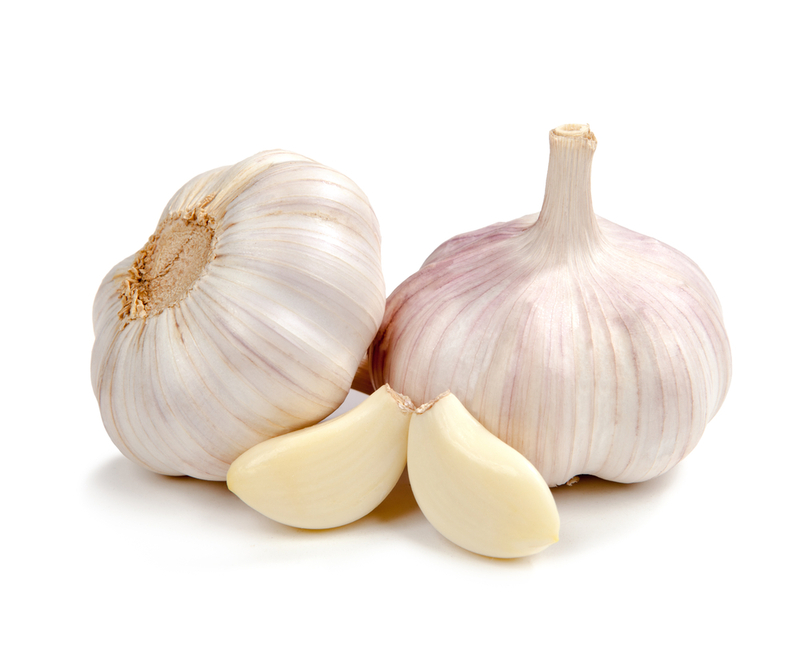 Garlic is great for the heart, specifically reducing blood pressure and cholesterol levels and supporting the immune system. It also feeds the good bacteria in your digestive system, keeping everything running smoothly. Adding garlic to your roast potatoes, to lamb with some rosemary, making cheesy garlic bread (slightly naughty) or wilting some spinach with a little oil, are just a few ways of enjoying all its health benefits. Garlic keeps well in a cool, dry place for around two weeks, so there’s no excuse not to always have some on hand. Walnut butter provides an excellent source of protein, particularly if you’re vegetarian. However, for those who are especially rushed in the mornings, if you have to eat breakfast on the run, then you could do a lot worse than packing up a few oatcakes with some walnut butter to help keep you going throughout the morning. Equally, it provides a great snack with some crackers or oat cakes any time of the day. And if your children are particular insistent on having some chocolate spread in the cupboards then you can make your own with walnut butter. You just need to add some cocoa powder and maple syrup and you’ve got a much purer version that any ‘shop-bought’ variety. 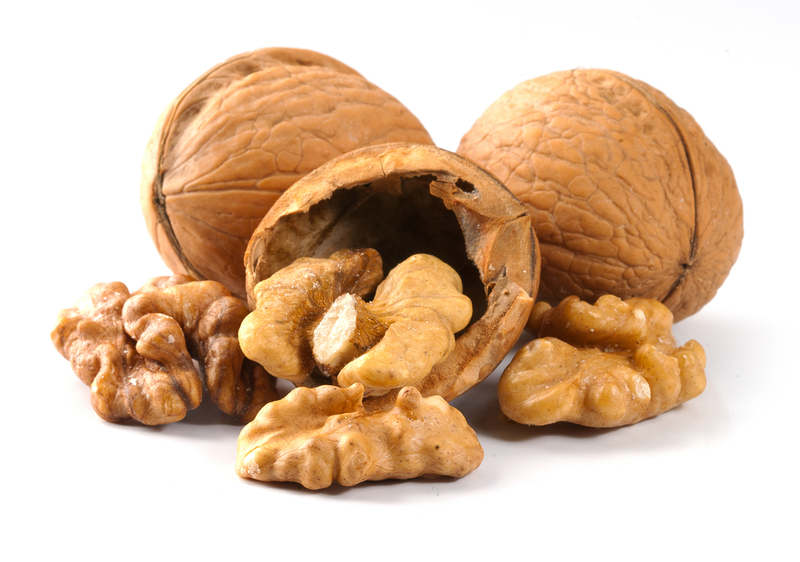 Walnuts are a good source of those healthy omega 3 fatty acids and they’ve also been shown to reduce blood pressure, so another great all-rounder cupboard staple with health benefits to boot! So hopefully these little tips mean your store cupboard can become a whole lot healthier and your meal decisions a little easier! Happy Cooking! ← Seasonal eating: which fruits and vegetables are best for you right now?